We can thank the impending death of Diesel in Europe for their strong interest in Electrification which should help to accelerate development and adoption among all manufacturers, although it's likely that Electrification will remain mostly a fashion and performance choice in the US which makes it better suited to performance luxury brands. Ford's EV approach is less visible, more like an engine option, but Europe may force them to have a bit more fun with it than they do now. Hoping a EV Mustang isn't just about fuel economy personally. But anything that makes electrification more attainable and less gimmicky than it is now, I'm all for it. I don't think Ford will be a pioneer here but they won't be left behind either which is reassuring. Last edited by Assimilator; 07-05-2017 at 07:01 PM. France has announced it will join a growing list of countries planning the demise of the internal combustion engine. The European nation announced Thursday it plans to ban the sale of all gasoline and diesel powered vehicles in the country by year 2040. The announcement announcement was made by France's environmental minister, Nicolas Hulot. Hulot referred to the planned ban as "a very difficult objective" for automakers, but noted that the technology exists to make it a reality. Despite France's perceived aggressive with this ban, it isn't as aggressive as other countries' plan to ditch internal combustion engines. MotorAuthority: "The parliament of the Netherlands has passed a motion which would require that all new cars sold by 2025 will have to be electrified in some way, rather than fueled solely by gasoline or diesel..."
MotorAuthority: "The sale of gasoline- and diesel-powered cars in Germany may end up being prohibited as early as 2030, if guidelines set out in a resolution passed by the German upper house are adopted..."
...going just by the simple online tool the government provides, the Volt averages 200 grams/mile and the Prius averages 205 grams/mile in total tailpipe plus upstream emissions. Based on an assumed 15,000 miles per year, and 45 percent highway/55 percent city driving, the EPA says the Volt edges out the Prius by a mere 165 pounds of CO2 emitted per year in its imaginary textbook world. ...drill down by zip code to get a better grasp of the upstream emissions for plug-in electrified cars in their region. In a place where more coal is used, such as Akron, Ohio, a 205 gram/mile Prius emits less CO2 than a Volt, which the EPA estimates at 230 grams/mile. If one lives, say, in Hartford, Connecticut, as noted by Mark Renburke, Executive Director of Drive Electric America, the Volt scores well with a cleaner 150 grams/mile while the Prius stays constant at an estimated 205 grams/mile. A similar advantage is found in Long Beach, California, which has a cleaner grid, in which the EPA says the Volt nets 140 grams/mile while the Prius stays constant at 205. Though cost of said energy may be another matter, here we’re just looking at greenhouse emissions. The takeaway, notes Renburke, is it all depends on where you live. According to the Union of Concerned Scientists, EVs – which the Volt essentially is, with extended range – produce fewer emissions in 70 percent of the country compared to a gasoline car that gets 50 miles to the gallon (the Prius gets 52-56 mpg). Re: Global: First in ...in supplying batteries? ...For that reason, German supplier Robert Bosch is considering whether to manufacture battery cells. If so, it may choose solid-state technology where there is no electrolyte liquid to transport ions back and forth when charging and discharging energy. One advantage is greater safety should a crash compromise the structural integrity of the cell. "We are in the middle of development work. That means we are producing new results every week," Bosch Mobility Solutions chief Rolf Bulander told Automotive News Europe last week. A decision would likely be made at year end at ​ the earliest. Re: Global: First in (Electro-)Ecology? ...in R*A*C*I*N*G?? ...The 2018/2019 season will see Formula E take the next major step towards becoming a credible form of motorsport. It’s when teams will finally start using a single car per race, rather than the current two due to batteries not holding enough charge to last a race. Teams will be using common chassis supplied by Spark Technologies, as they do currently. The chassis design for the 2018/2019 is said to be adopting a new, futuristic look. Teams will also be using common batteries supplied by McLaren Applied Technologies, though they’ll be responsible for their own powertrain, transmission, suspension and software systems. 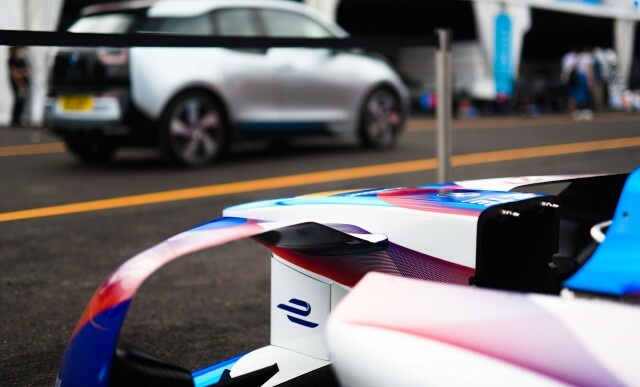 BMW says the lessons learned in Formula E should help the development of its next-generation electric cars. As BMW explains, Formula E is the “perfect development laboratory” for electric car technology. Last edited by 2b2; 07-15-2017 at 11:17 PM. Re: Global: First in ...in supplying batteries? ...& scratching backs! The race to capitalize on the growing need for electric car batteries is well and truly underway. Although Tesla has an early start with its massive 35-gigawatt-hour Gigafactory, a German firm has announced plans for its own battery plant to rival Tesla's operation. A consortium known as Terra E plans to finalize the site for a 34-gigawatt-hour battery plant next month and will break ground in 2019. Most of the candidate sites for the plant are in Germany, though a neighboring country isn't off the table, per CEO Holger Gritzka. “We have to be better in process technology than competitors, a constant step ahead,” Gritzka told Bloomberg during a recent interview. South Korea's LG Chem and Samsung currently dominate battery production, but Tesla is poised to become the second-largest battery maker once its Nevada-based Gigafactory is at full capacity. Investment in Tesla's plant will total $5 billion, though a large chunk of this will come from Tesla battery partner Panasonic. German automaker Volkswagen has vast plans to electrify its vehicle lineup in the coming years, and the automaker has said current battery production simply will not meet the requirements for future electric car production. Other automakers, particularly those in Germany, are also jumping on the bandwagon. The news of Terra E's battery plant follows Daimler's start of construction on a second battery plant. The facility will assemble lithium-ion batteries for the company's automotive brands as well as new energy storage business. 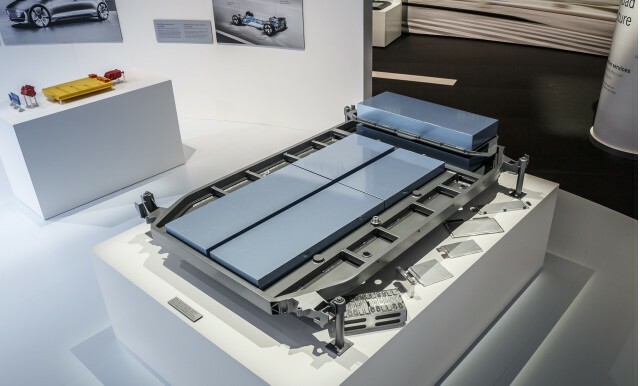 The increased output will more than double battery production from today's current levels of 103 gigawatt-hours to 278 gigawatt-hours in 2021 as batteries become more commonplace in energy storage and in vehicle applications. Domestic: First in (Electro-)Ecology? ...in regulations? As Washington state and Olympia seek ways to combat climate change, we should adopt a key strategy advanced by a growing list of countries and companies: phasing out gasoline and diesel. Germany, India, Norway and the Netherlands plan to ban the sale of gas-powered vehicles by or before 2030, and France by 2040. Volvo will stop selling gas-only vehicles in 2019, while Tesla and Chevrolet are already making affordable cars that get more than 215 miles per charge. Unfortunately, Washington is falling behind in the clean-transportation race. Our electric charging infrastructure is patchy and inadequate. Incentives for purchasing electric cars are minimal. Gasoline consumption is high and growing, and we have no plan for phasing it out. Of the 6.4 million cars and trucks registered in Washington, a tiny number—about 25,000--are electric. ▪ Cars and trucks account for nearly 45 percent of our region’s carbon footprint. ▪ We used a record 2.78 billion gallons of gasoline in Washington State in 2015. Every gallon of gasoline releases 20 pounds of carbon dioxide. ▪ Washington spends more than $6 billion annually on gasoline, most of which goes to out-of-state fossil fuel companies to finance drilling, fracking, pipelines and destructive environmental practices. ▪ Driving electric vehicles will save the average Washington family about $1,200 a year in fuel costs. ▪ Washington has clean and low-cost hydroelectric power, making electric vehicles a sensible and cost-effective solution. ▪ Car and truck exhaust is responsible for 53,000 deaths annually in the United States. ▪ Adopt a phase-out date of 2030 for the sale of new gasoline and diesel vehicles, consistent with the global trend. ▪ Plan for and build the charging infrastructure necessary for mass electric vehicle adoption. ▪ Create incentives to spur the sale of electric vehicles including preferential HOV lane access, lower tolls, vehicle registration discounts, and preferred parking. ▪ Increase funding for infrastructure for public transportation, bicycling and walking. Governor Inslee recently committed, with the governors of California and New York, to abide by the Paris climate accord and to aggressively cut carbon emissions. Phasing out our use of liquid fossil fuels will meet that commitment. Washington state and Olympia and have a strong environmental ethos and a track record of leadership on green initiatives that are key to our region’s economic success and quality of life. We don’t take our cues on climate from the Trump administration, but rather from our peers in leading countries. Furthermore, we should not breathe toxic auto exhaust when the Germans, Norwegians, Dutch and French are not. By phasing out gasoline and diesel, Washington can become an innovation hub for a fossil-fuel free world. Let’s not cede leadership to Germany, India, Silicon Valley or other regions. Rather, let’s create a world-class clean transportation system that improves our health, wealth and climate. Re: Global: First in (Electro-)Ecology? Last edited by 2b2; 09-07-2017 at 11:02 PM.